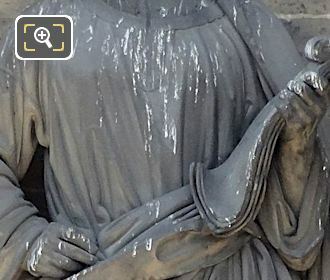 While we were at the Eglise de la Madeleine in the 8th Arrondissement of Paris, we took these high definition photos showing a statue of Saint Luke, which was sculpted by Etienne Jules Ramey. 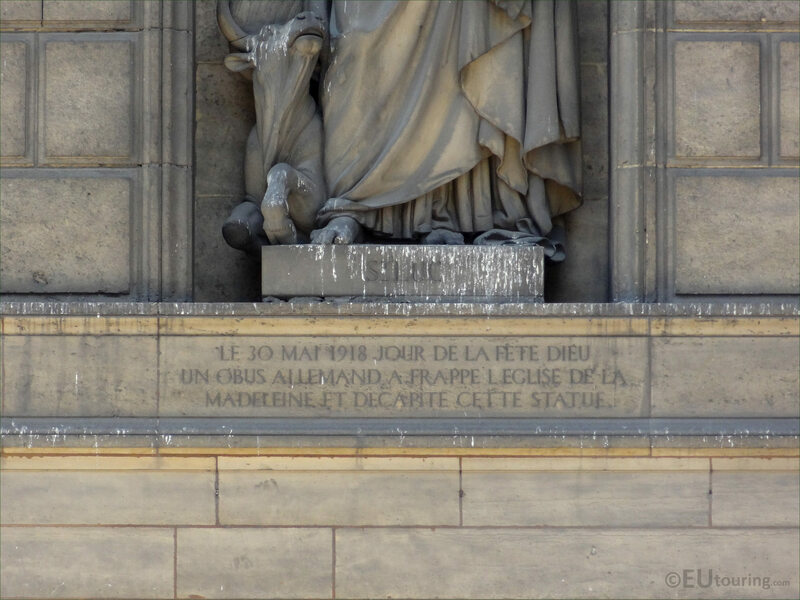 This first HD photo shows a statue on the Eglise de la Madeleine that is meant to represent Saint Luke, but unfortunately as you can see here, his head is missing, which happened during World War I and has never been replaced as a reminder of the atrocities that took place, and not even a church was safe. 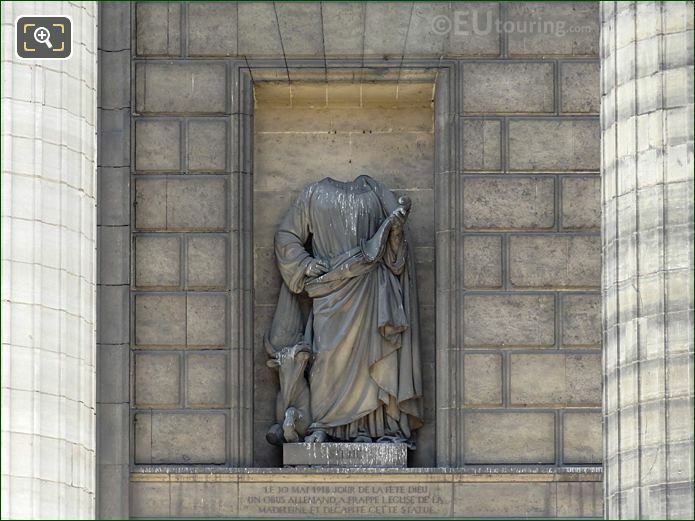 Now in the Roman Catholic Church he is venerated as Saint Luke the Evangelist and thought to have been a Greek physician, he is the Patron Saint of physicians and surgeons, with his feast day being 18th October, and this statue was sculpted by Etienne Jules Ramey. 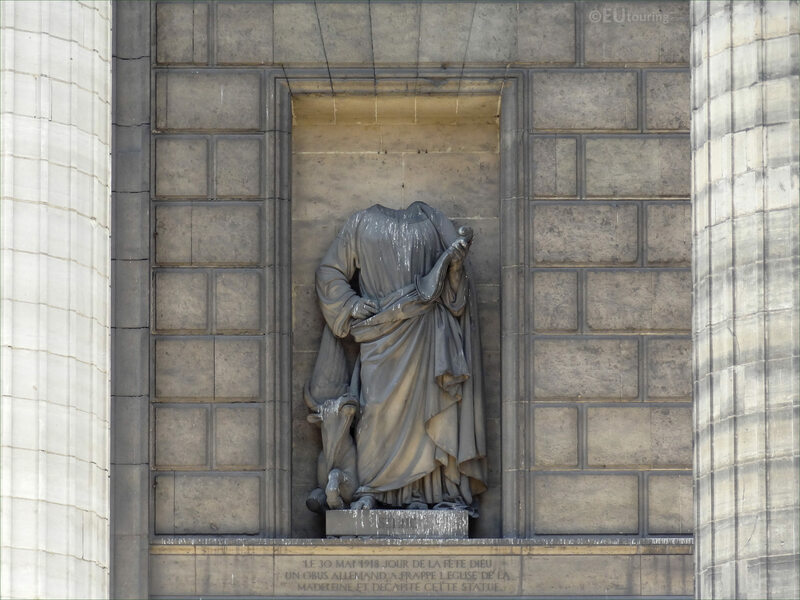 And born in 1796, Etienne Jules Ramey followed in his fathers footsteps to become a French sculptor, winning the Prix de Rome at the young age of 19, which led to many public commissions for famous tourist attractions in Paris including statues for different churches and one within the Jardin des Tuileries. 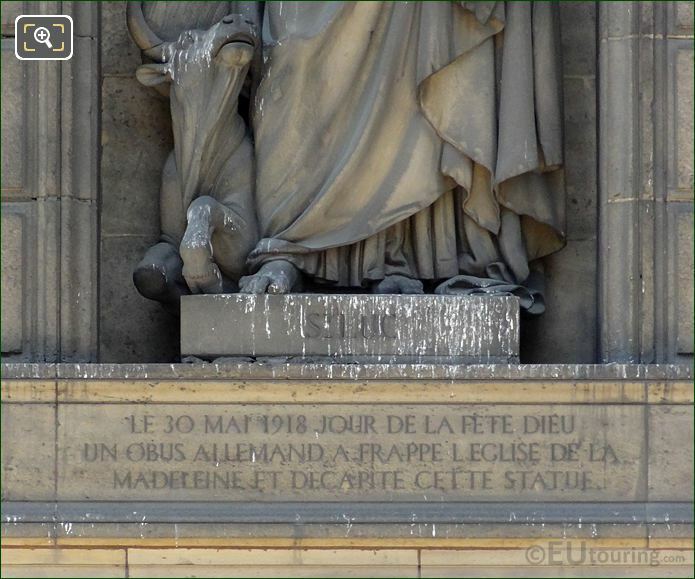 Yet this close up photograph shows the pedestal base of the statue with the name of St Luc and underneath this there is another inscription, which when translated into English generally reads; On 30th May 1918, day of the party God a German shell struck the Church of the Madeleine and decapitated this statue. 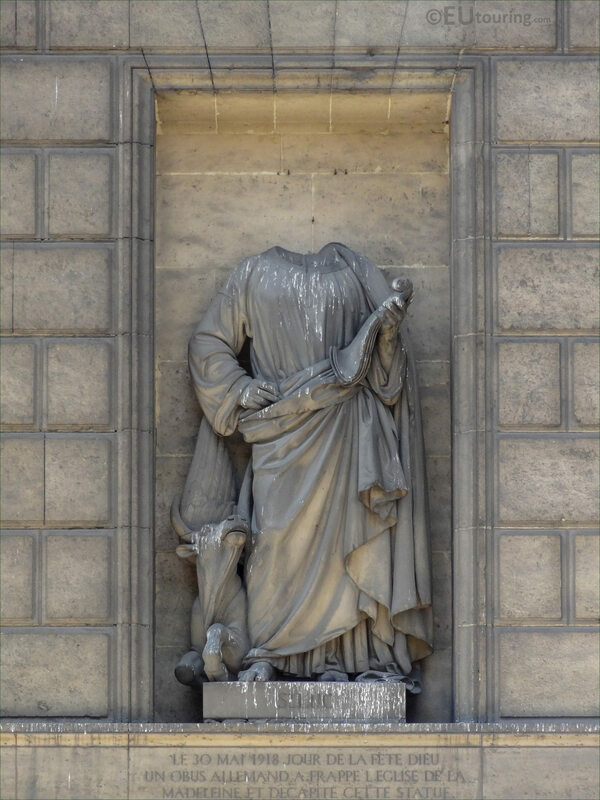 Saint Luke is classed as one of the four Evangelists, meaning he was one of the authors of the traditionally ascribed canonical Gospels, which are regarded as authoritative scripture for both the Gospel according to Luke and the book of the Acts of the Apostles. 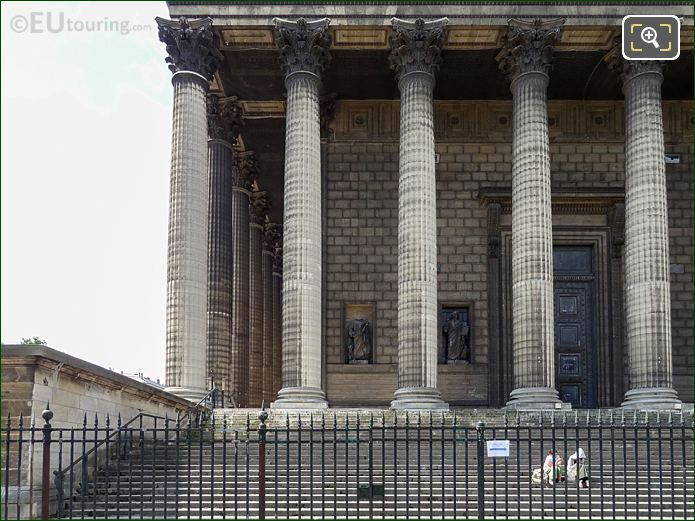 However, here you can see a part of the facade of the Eglise de la Madeleine within its Corinthian columns, and this is the back of the church where you will find all four Evangelist statues, with the one of St Luc located in a niche on the far left hand side.